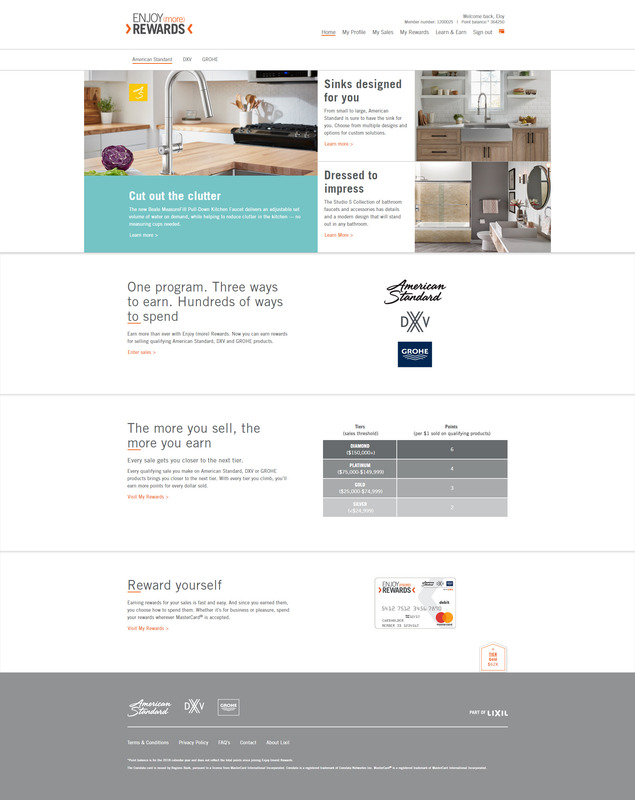 Tasked with helping LIXIL create a new loyalty program that encompassed all three of their brands and drive higher engagement rates, I ended up creating two: Enjoy (more) Rewards for their sales wing, and Plumber Rewards for the contractors buying supplies. These two separate but related programs allowed members to convert their existing account or sign up to start earning rewards on all three brands, rather than just one, and created a vastly more dynamic and engaging reward experience for everyone across the board. These two independent programs required their own complete branding packages that were built alongside each other, including new names, logos, email templates, website functionality, voice, color scheme and more. For Enjoy (more) Rewards, we built a new personalized reward tier structure that provided members a higher earnings ratio with the more they sold. For both programs, we created a mobile-friendly website that encouraged engagement by allowing members to enter their sales or purchases from anywhere. With marketing materials highlighting the latest products to promotional point opportunities, both programs have enjoyed success with increased enrollments and high conversion rates from the previous rewards programs.